Known for her iconic versions of songs by The Beatles, Joni Mitchell, Leonard Cohen, Stephen Sondheim, and others, Judy Collins will perform in Rochester on March 9. When you phone Judy Collins, if you’re lucky she will not answer. It’s that unmistakable soprano voice, still gorgeous after all these years. Collins did call back, and the following is an edited version of our conversation. CITY: In your early years you were a concert pianist. What made you turn to folk music? 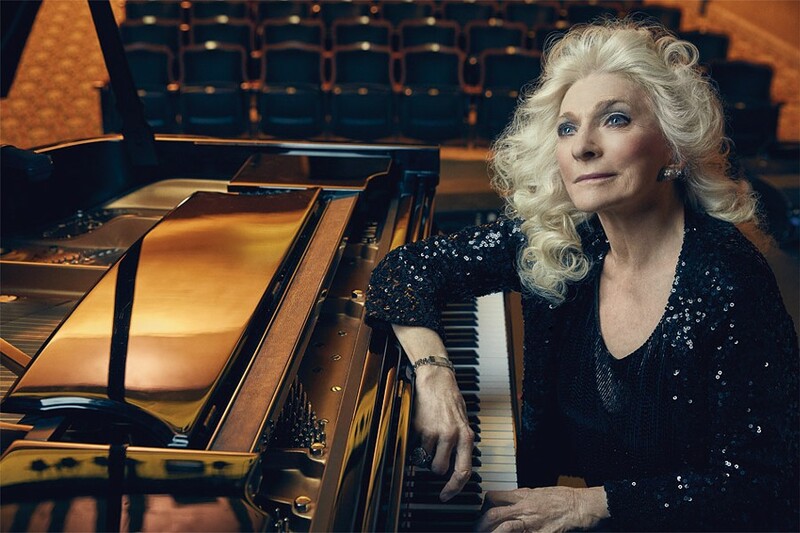 Judy Collins: After playing the piano, playing with symphonies and learning all the songs of Rodgers and Hart, singing with choirs and choruses and singing with my own group, at 15 I was struck by two folk songs: “Barbara Allen” and “The Gypsy Rover.” That was it. I knew that was the kind of music I had to do. In the 1960’s and throughout your career, you had an ear for great songwriters: Eric Anderson, Phil Ochs, Gordon Lightfoot. You introduced the world to Joni Mitchell and Leonard Cohen. I was very lucky because I didn’t write my own songs. The first couple of albums I did traditional songs, but when I moved to Greenwich Village, it was time to do the songs of the singer-songwriters who were swarming around me. I learned to how to pick a song from my father, who had a radio show for 30 years, and played and sang beautifully all the songs of the Great American Songbook. So I knew what to listen for in a great song. It was probably in my DNA. When did you first hear “Both Sides Now”? Oh my god, I heard it on the telephone in the middle of the night in the spring of 1967. Joni Mitchell had been hanging out at a club with Al Kooper and Blood, Sweat & Tears. He knew what I did with other people’s songs. He said, "We’re going to call Judy right now, you’re going to sing her that song, and she’s going to record it." How did you discover Leonard Cohen? We had a mutual friend who talked to me about Leonard when he was writing obscure poetry. One day she called and said, “Guess what? He’s writing songs. He wants to come and see you.” In 1966 he came to my door. He sang me “Suzanne,” “Dress Rehearsal Rag,” and “The Stranger Song,” and that was it. What made you do the interspecies collaboration, “Farewell to Tarwathie”? I know you’ve recently been touring with Stephen Stills, but what was it like in 1969 to have “Suite: Judy Blue Eyes,” his song about you, all over the radio? I couldn’t get away from it. It was perpetual Stephen Stills all the time. We remained friends after our affair. We had a good friendship to the point where we, somewhat nervously on both of our parts, decided to do some shows together. We ended up doing 115 shows over the past year and a half. Thank you. I’m very proud of my writing. I was encouraged to write by Leonard Cohen. He encouraged me to write my own songs, and I encouraged him to sing his own songs, so we did each other big favors. In 1975, what made you record Stephen Sondheim’s “Send in the Clowns”? There are few artists who began in the 1960’s and are still recording today. Why do you think you’ve endured? He said, “O.K., you can come over.” I said, “Where do you live?” He gave me his address, and I said, “O.K., I’ll be right over.” I walked out my door on the eighth floor, made a right, passed the elevator, and rang his bell. I would say it was meant to be. I studied with Max Margulis for 32 years, until he died. Last time I saw him in the hospital, he said, “Don’t worry. All you have to think about is clarity and phrasing.”The method he taught is called Bel canto. It’s very simple, but it takes 32 years to learn it. Judy Collins performs Saturday, March 9, 7:30 p.m. at Hochstein Performance Hall, 50 North Plymouth Avenue. $40-$70. 454-2100. goldenlink.org; judycollins.com.